CC Hair Extensions is online human hair extensions shop.All our Hair extensions are made of 100% Human Hair without synthetic. 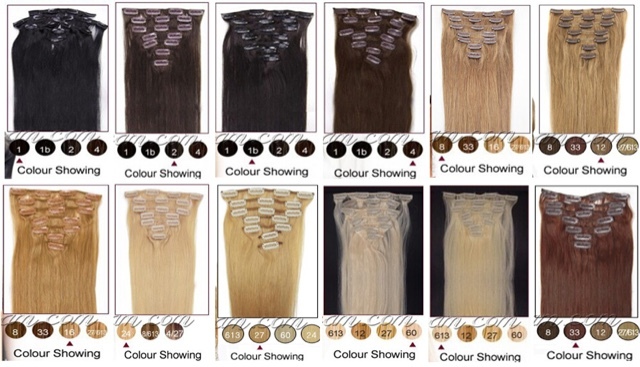 cchairextensions.com have provided thousands of customers with superior quality hair and meet their request about long thick hair.cchairextensions.com team is devoting in offering customers 100% Indian remy human hair extensions with high quality on reasonable prices. We are enthusiastic about what we do, and aim to provide the most beautiful hair extensions to bring you greater charm. We ensure you that you can get what you have paid for. CC Hair Extensions including Clip in hair extensions, Hair Weave, Micro Loop, Bonded Hair, Tape Hair Closure, Accessories.Clip in hair extension is the most popular human hair extensions,we provide clip in hair extensions from 15 inch to 28 inch,with weight from 70g-160g to meet different request. Customers like its convenience to wear and take off. Another thing all the material is I00% Indian remy hair with top quality to make its better feeling.It is also the easiest hair extensions to wear and take off.so many female like wearing clip in hair extensions. The models hair is awesome! I am really i trigued by them ! these extensions look really cool. which girl is not dreaming about perfect long hair?! Great post, so many colors, will have to check the site out. Thx for your sweet comment honey. I am wondering would you like to follow each other on GFC to keep in touch? Please let me know on my blog so I can follow back. Thank you. I've never worn hair extensions before and always wonder about them. I saw my friends having them looking so beautiful but I don't know if the clips feel natural and comfortable. Thank you for stopping by my blog a while back which allows me to discover yours. Hi Nerissa, I love seeing newcomers around here. Thanx for sharing your view. Yes, it is difficult to tell people of Chinese descent apart at times though as a Chinese, I could sometimes guess it quite well. It's more of the attire, mannerism and language rather than the way we look. I need new ones! Thanks for sharing!